Work on efficient harnessing of full spectrum of sunlight using a hybrid methodology featured in Purdue News. Former PhD student Yaguo Wang's paper won the ASME Heat Transfer Division 2015 Best Paper Award. Roger's paper on thermal conductivity of black phosphorus published in Nature Communications. Prof. Xu receives the Heat Transfer Memorial Award in 2014. Check here for more group news. Prof. Xu’s group carries out research in two main areas: (1) nanoscale energy transport, and (2) nano-optics and laser-based nano-optical engineering. We investigate energy transport in nanoscale materials used for efficient energy conversion, including photovoltaic and thermoelectric energy conversion, and nanoscale materials for controlling - reducing or enhancing - thermal transport in nanoscale devices. At a microscopic level, energy transport and conversion is ultimately determined by the dynamics of interactions among basic energy carriers such as electrons, phonons, and photons, which occur at a time scale of femtosecond (fs, 10^-15 s) to picosecond (ps, 10^-12 s). We develop advanced femtosecond (fs) laser based high temporal (~ 10 fs) resolution experimental techniques (e.g., coherent phonon spectroscopy), Raman spectroscopy based thermometry, and high resolution (~ 10 nm) scanning probe based thermometry for the study of nanoscale energy transfer and conversion processes. 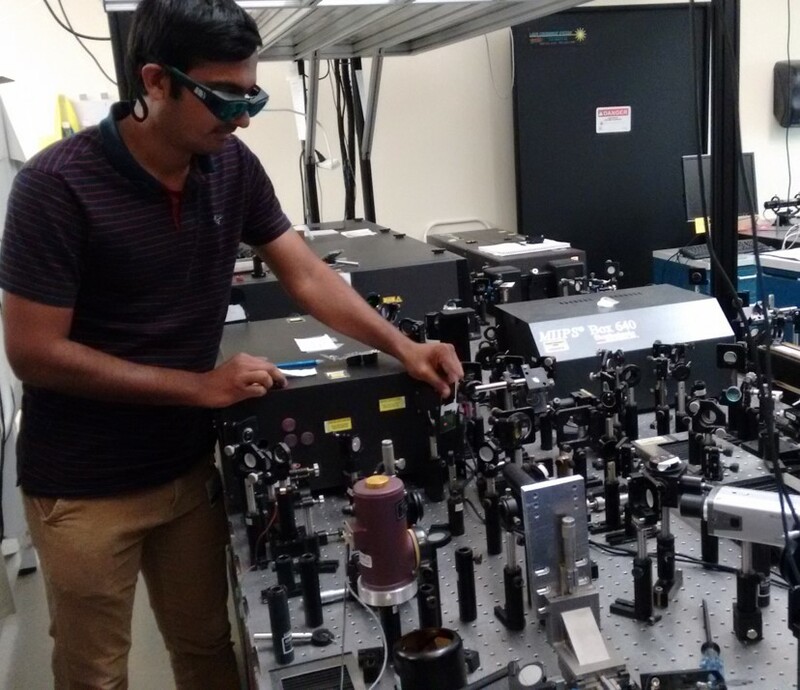 We are working on a broad range of topics related to nano-optics and nano-optical engineering. Our current effort is on laser-based nano-engineering using nanoscale optical antennas, which are developed in our laboratory. These antennas are capable of efficiently focusing light into a nanometer domain with intensity orders of magnitude higher than the incoming light intensity. Being able to concentrate light into a nanoscale domain with high intensity has numerous applications in nano-manufacturing, nanoscale imaging and diagnostics, and ultra-high density data storage. We also utilize femtosecond two-photon processes to develop rapid 3D nanoscale printing technologies. Copyright © 2010, Prof. Xianfan Xu, Purdue University, all rights reserved.